Brushing out: if you still have tangles after the dog is dry, spray this on the coat to help easily break up tangles. This product is our biggest retail item, many grooming salons sell it to their customers for brushing in between grooms. 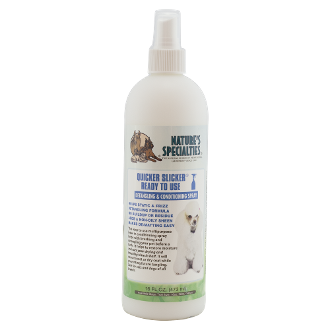 Your body and the dog will thank you for using Nature’s Specialties Quicker Slicker!